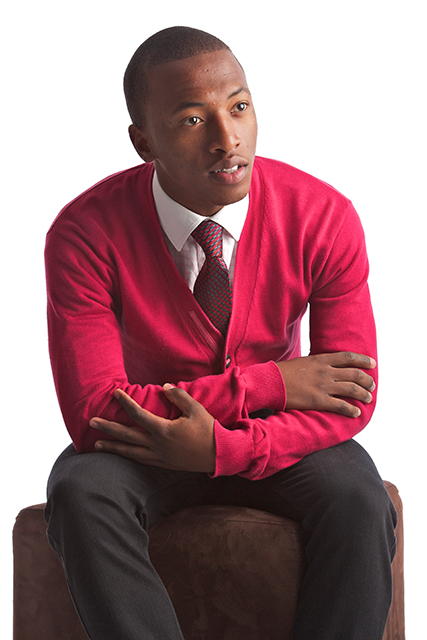 Mdumiseni Nzimande, better known to his fans as Dumi Mkokstad, is a gift of praise to the entire nation. He needs no introduction as his track record speaks for itself. He was just nine years old when we were introduced to this young man. Now he is 22 years old and blazing powerful gospel more than ever. It all began over a decade ago in the Eastern Cape village of Kokstad where his family gave him a solid foundation. Among the many things they taught him was to praise God. They took him to church where he discovered his singing talent. He was signed by Bula Music in 2003. His debut album was titled Dumi Mkokstad and he became the youngest gospel recording artist South Africa has ever produced. Not only did he come as a fresh breeze to the gospel scene but he also rescued many from the ordinary sound. This led to his debut album performing very well in the market reaching gold status in sales. After the success of his debut album he released NGIVUMELE. Refusing to clone any of the existing gospel sounds, Mkokstad managed to stick to his original talent and style, pulling in the expertise of Best in Gospel (B.I.G) producer Bigboy Mlangeni to create the impressive piece of work which this album became. They have been working together since the release of this second offering, which also impressed and was loved by gospel fans. By the time he released his third album the whole of South Africa had woken up to dance to his tune. He released HAMBA MPHEFUMLO which was produced by the legendary Sizwe Zako. The combination of Dumi’s angelic voice and the production direction of Zako brought about a brilliant album which helped Mkokstad to further penetrate the market. When his peers were discussing the latest trends in fashion, Dumi was lifting his hands even higher - dedicating his soul to the service of God. He did not end with Hamba Mphefumlo. In 2008 he released another album: ANGIKAMBONI. On this one he worked with Babsy Mlangeni, and his outstanding writing skills could be felt on two songs, one of which is the title track. The gospel genre has grown considerably over the past few years, with young men and women flooding in and out of it. Dumi again proved to be more than a one hit wonder by adding another album to his thriving gospel career. He dropped his sixth album titled SIZWILE, and on this one his fans heard more worship than in his previous offerings. DUMI MKOKSTAD is one of those gospel musicians who not only sing to bless his followers. His music has managed to change the lives of many people and he continues to prove that one can be young and still remain focused, cooperative and humble. All these qualities have produced the gentle star that he is. He has a brand new soulful album out titled MBIZE UJEHOVA, which is the first of his albums to be distributed and part marketed by REVOLVER RECORDS.